Through compelling stories of remnants of families, this film is an emotional account on how the year following the tsunami came to be almost as turbulent as the tsunami itself. For decades Aceh was an isolated, religious and heavily contested province of northern Sumatra, Indonesia. In the mountains the guerrilla organization, GAM, was fighting the government for independence and Aceh was closed off to the rest of the world. Having suffered through one of the worst natural disasters in living memory, remnants of families are waiting for a place to stay and a life to live. 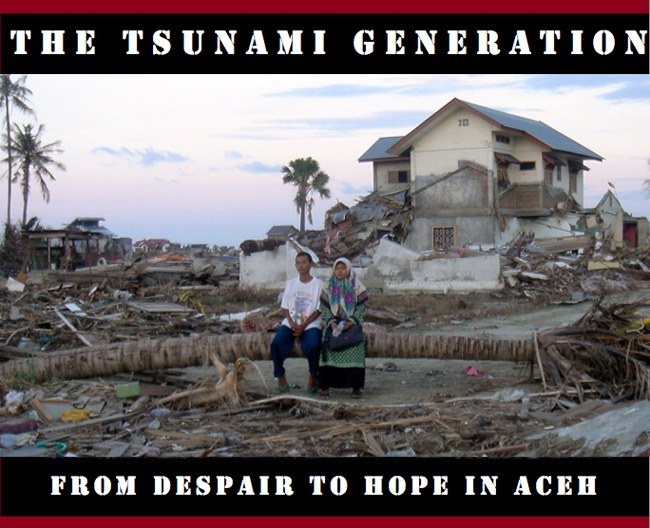 They are the Tsunami Generation. A generation of people with a glimpse of hope in their eyes, despite the overwhelming struggle that remains to get life back to normal.